Got a large amount of photos that need enhancing? 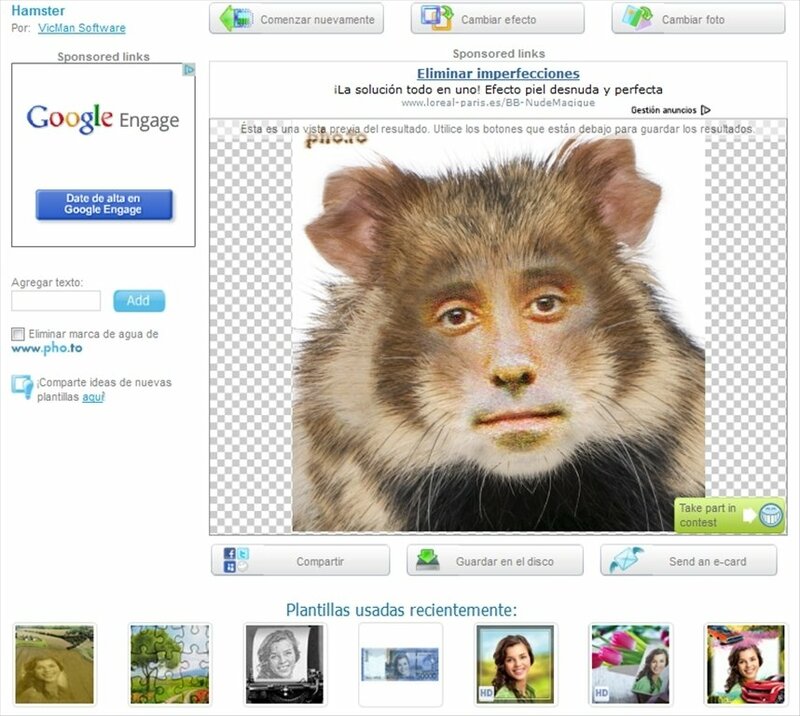 Funny Photo is a web application that allows you to apply all kinds of effects and frames. 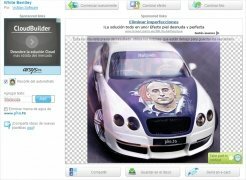 Online image editor. 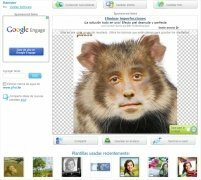 Add new effects to your photos and create amusing montages. 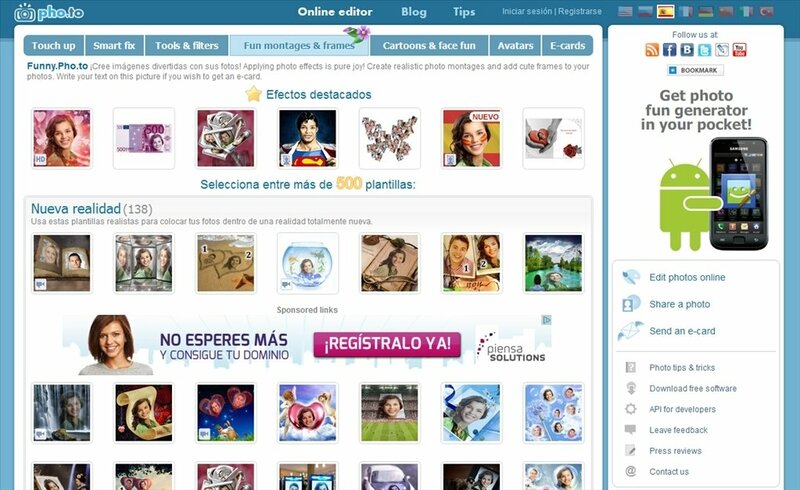 Share the montages on social networks, save them on your PC or create E-Cards. To start off, choose any of the templates available. 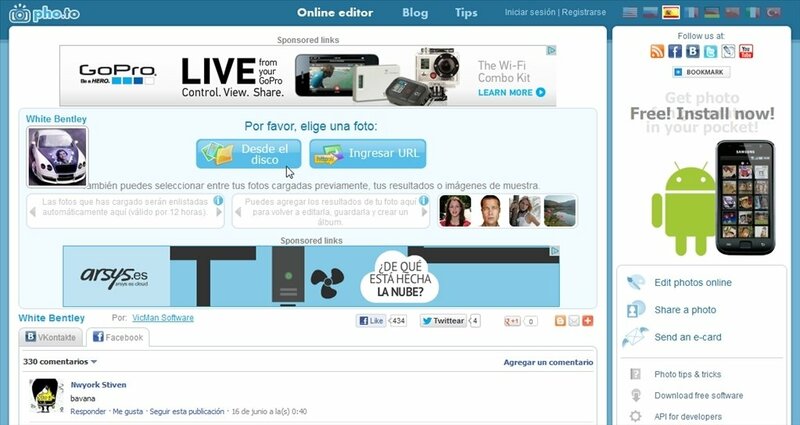 After that, upload an image to your PC or indicate the URL address to load in the Funny.Pho.to editor. 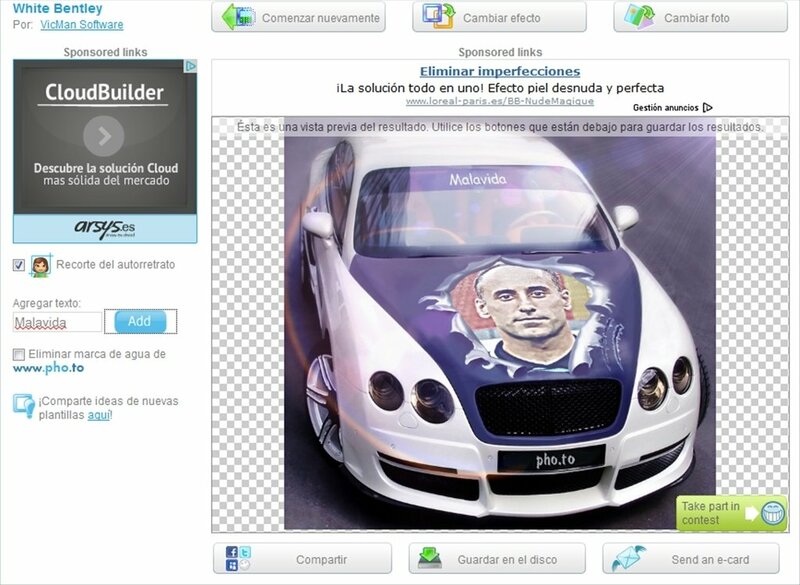 Here you will be able to check the result of the final montage and apply the necessary adjustments. Last of all, save the photo or share it with your contacts through the different export systems. Create striking montages with Funny Photo, an essential application!